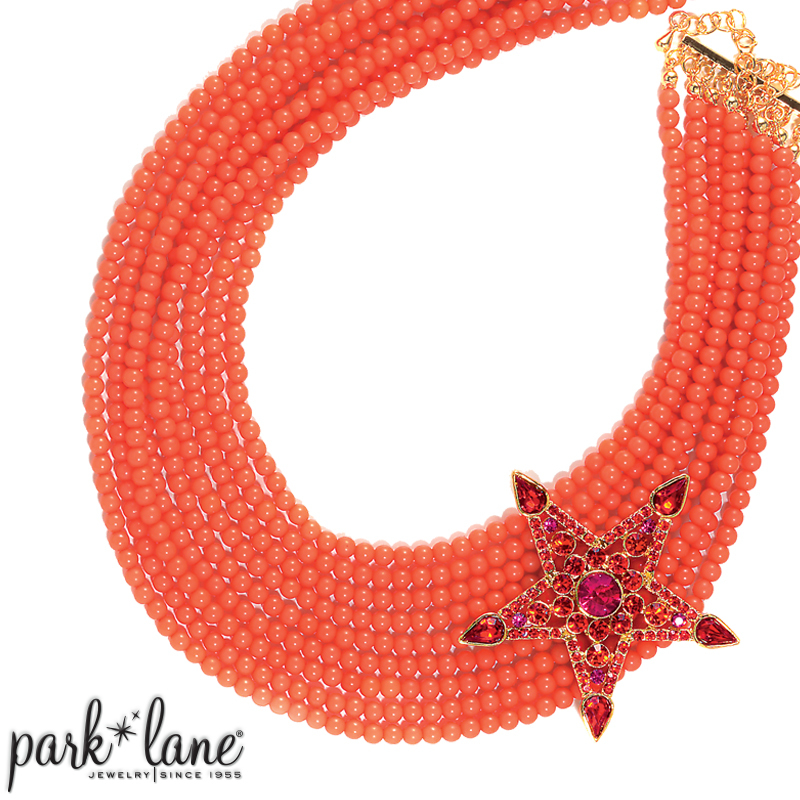 Nine strands of tangerine orange beads are adorned by a big, bright, star ornament a-glitter with scarlet and fuchsia crystals. Miniature beads, in an assortment of tangerine, coral and hot pink, dance from the large, drop hoop, gold earrings. Slip on the bold and beautiful crocodile-embossed, faux leather Tangerine orange bangle. 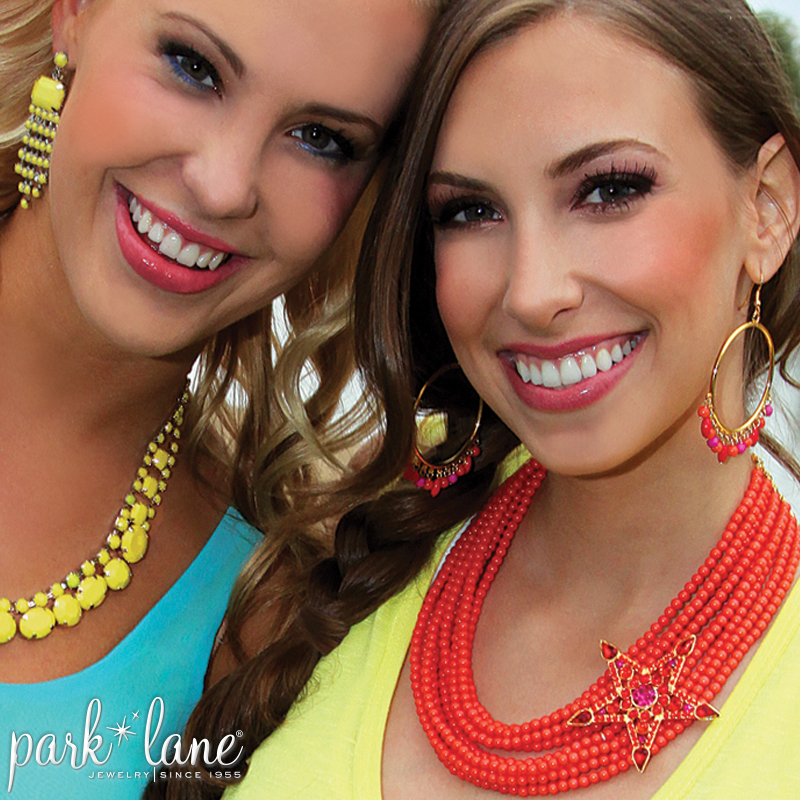 Make a stylish statement in the hottest hue of the season, TANGERINE!